Lessons - do not use What’s your story? When you see most people’s marketing message – it’s very functional. These are our features and our benefits, and this is what we do. 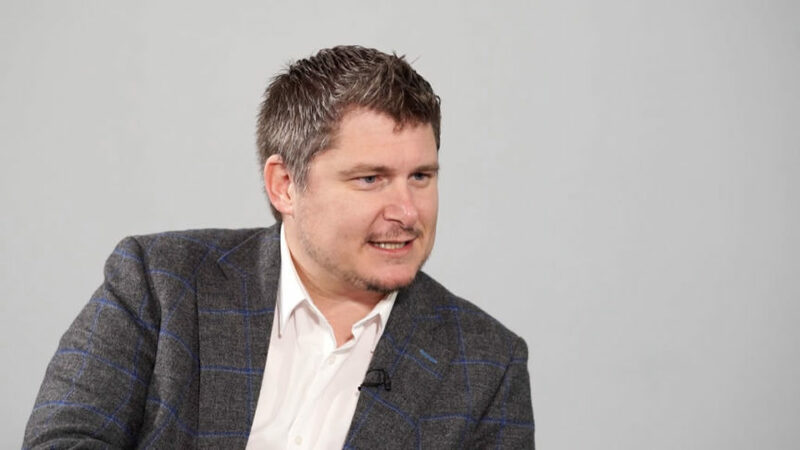 In this lesson – entrepreneur, speaker and author, Warren Cass – explains there are very few people who take storytelling and apply it correctly, to business. Grant Leboff: I think what’s really important in a world of everybody using media channels, is stories, and you talk about the power of storytelling. So can you explain that a bit more for the audience.? Warren Cass: It’s amazing isn’t it, when you see most people’s marketing message – it’s very functional. These are our features and our benefits, and this is what we do. But there are very few people who take storytelling and apply it correctly, and we can all do this within business. So people want to connect with people. And ‘people buy people’ first – the old cliché but it’s true. We want to understand people’s ‘why?’ We want to understand the story of what connects them to what they do. And when people can weave storytelling into their marketing message, they are taking people from just that functional ‘feature / benefits’ description onto a journey. We are empathetic creatures who want to connect, and want to understand, and the moment we can illustrate that with a story, we grab people’s attention for much longer and we hold it to. Grant Leboff: Stories are also much more three dimensional aren’t they? So one of the things you talk about is the importance of your vision and your values and getting those across. How important do you think that is in the online world today and also how do stories help to do that? Warren Cass: So a story which explains an outcome and how something you’ve done affects the customer / client… creates that emotional feeling. And remember, whether it’s face to face or online, the only real way to make a buying decision is when you trust the outcome. When you know that your expectations are going to be met. A way of fast forwarding, accelerating, that process by telling a story – particularly if it relates to how somebody else has experienced your product or service and what it meant to them. But also humanising your brand. There was a recent example where a very big brand, who I won’t name, had a customer service’s nightmare. The service had gone down and everybody had taken to social media and shouted from the rooftops – and there was a single member of staff who came back and said look we’re really trying with we’re doing our best right now we’re really, really trying. And at that moment the whole conversation on line changed, because people saw there were actually people at the other end of it and they were a bit more forgiving and understanding. But that’s the key thing is humanising our brands, makes all the difference. Grant Leboff: So how do people go about that? If you’re not used to this discipline of suddenly creating stories, it has always been ‘these are our benefits’. How do you start? Where’s is the starting point to try and create something that’s a bit more interesting? Warren Cass: Well I suppose the obvious and easy thing is introducing your team. You know maybe even having a ‘meet the team’ on the website. If you’re a big, big brand with tens of thousands of staff that’s difficult. But actually you probably got a lot more budget to do something very clever with it. If you’re a small business owner, it starts with just actually introducing yourself. I used to have a business card that, on the back of it, I actually had the words that defined me – that didn’t relate to business – and that was a great way of just starting conversations. We found it made a massive difference, even just in a networking context of the people you might meet in meetings. You would have that softer introduction to the meeting in those first five minutes because they’ve spotted one or two words that resonate with them and suddenly, you’ve now got a connection on a human level rather than actually just talking business. Made the rest of the meeting go a lot smoother. Warren Cass is an entrepreneur with 25 years experience of running his own businesses. He has experienced huge success and tasted the bitter pill of failure. All of these lessons and stories are shared when he speaks…. Always from the heart! What are the key qualities of an influencer? There has been more original content uploaded to YouTube in the last 48 hours than the top four American TV channels have aired since the 1930s – but are you using it to its fullest potential? Warren Cass discusses the many rich tools at the marketer’s disposal to demonstrate expertise. How do you demonstrate your expertise? How do you network successfully? In this lesson - entrepreneur, speaker and author, Warren Cass - explains there are very few people who take storytelling and apply it correctly, to business. When it comes to influence, it's about affecting an outcome, about moving an issue forwards without having to force it. In this lesson - entrepreneur, speaker and author, Warren Cass - explains that how we deliver a message is vitally important. Of course, it’s important what we say too, but how we deliver it is massively important. How do you manage your reputation online? In this lesson - entrepreneur, speaker and author, Warren Cass - explains that ‘credibility by association’ is the simple concept, whereby we're known by the company we keep, and illustrates it with a stunning example. What is credibility by association? Influence in business is not about who you know, but who knows you. In this lesson - entrepreneur, speaker and author, Warren Cass - argues the case for both sides of the old adage; quantity versus quality. 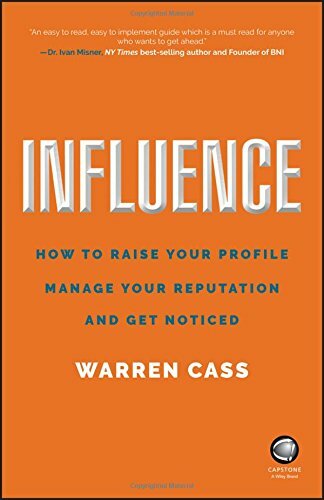 In this lesson - entrepreneur, speaker and author Warren Cass - explains that influence is about affecting change without having to necessarily force the issue.